Sameer Boray, NALSAR University of Law, has published Depiction of Disabilities in Movies: Disability Portrayal in the Media Through the Eyes of Bollywood and Hollywood. Here is the abstract. This paper will journey through the stages of which the media through film has depicted people with disabilities. While every movie-maker has the creative freedom of making a film, certain aspects such as media portrayal of disabilities of movies cannot and should not go unchecked. The author has highlighted how this can be tackled by the intervention of law through censor boards. The Indian Censor Board with this respect has been analyzed and the author has provided how this responsible body can play a larger role, whilst remembering the creative freedoms movie-makers are endowed with. Few popular movies in both Hollywood and Bollywood have been discussed to throw more light on the kind of depictions and a basic study has been mentioned on how there is a change in studying disabilities as a subject. Via ABA Publishing and Yahoo News: Norwegian law enforcement has captured the Night King. Lots of pictures, including a mug shot. More here from Newsweek, including the back story on this dangerous individual and the charges he faces. Ross E. Davies, George Mason University Law School; The Green Bag, is publishing Sherlock Holmes: Expert Witness in Canon Law: Lawyers, Law and the Sherlockian Canon (William A. Walsh and Donny Zaldin, BSI Press, 2018). Here is the abstract. This paper explains the treatment of expert witnesses in late-Victorian English courtrooms, using a scenario drawn from a Sherlock Holmes story -- “The Adventure of the Dancing Men” -- and a prosecution for murder. Sherally Munshi, Georgetown University Law Center, is publishing White Slavery and the Crisis of Will in the Age of Contract in volume 30 of the Yale Journal of Law & Feminism (2018). Here is the abstract. Recognizing human freedom is never as simple as acts of legal pronouncement might suggest. Liberal abstractions like freedom and equality; legal formulations of personhood, free will, and contract; the constructed divisions between public and private, self and other, home and market on which the former are predicated — these are often inadequate to understanding, let alone realizing, the shared aspirations they supposedly define. By the same token, the dense and dynamic relations of power that characterize any liberal society overwhelm and exceed our critical vocabulary. “Racism,” “sexism,” and “capitalism” powerfully name structures of inequality, but they fail to capture the full spectrum of social relations, practices, and exchanges that reproduce inequality — deep structures of feeling, unspoken common sense, the stories we tell ourselves about the world and our places in it. Focusing on an early twentieth-century case involving an immigrant convicted of “white slavery,” accused of “mesmerizing” his secretary, this Article explores the ways in which the white slave panic and spiritualist practices reflect a set of anxieties about the nature of agency and consent obscured by the universalizing and formalist abstractions of contract law and theory. Through a close reading of competing narratives surrounding the case, this Article seeks to investigate some of the ways in which the rhetorical distortions of law affect the lives of its most vulnerable subjects. Michael D. Murray, University of Kentucky College of Law, is publishing Mise en Scène and the Decisive Moment of Visual Legal Rhetoric in volume 68 of the Kansas Law Review. Here is the abstract. 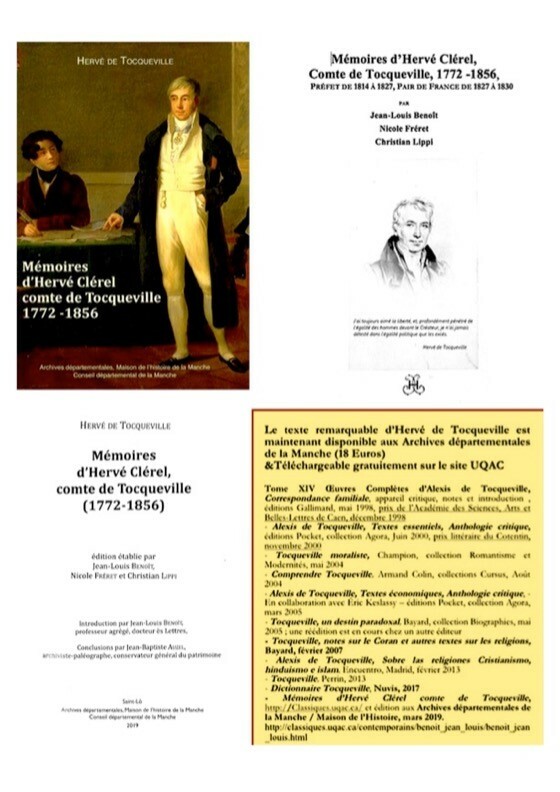 Tocqueville, Hervé de Tocqueville, Les Mémoires d’Hervé de Tocqueville: edition établie par M. Jean-Louis Benoît, Nicole Fréretet, Christian Lippi (Saint-Lô: Archives départementales, Maison de l’histoire de la Manche, 2019). Law and the Senses (Andrea Pavoni, Danilo Mandic, Caterina Nirta, and Andreas Philippoulos-Mihalopoulous eds., 2018) (Law and the Senses series). Here from the publisher's website is a description of the book's contents. Vision traditionally occupies the height of the sensorial hierarchy. The sense of clarity and purity conveyed by vision, allows it to be explicitly associated with truth and knowledge. The law has always relied on vision and representation, from eye-witnesses to photography, to imagery and emblems. The law and its normative gaze can be understood as that which decrees what is permitted to be and become visible and what is not. Indeed, even if law’s perspectival view is bound to be betrayed by the realities of perception, it is nonetheless productive of real effects on the world. This first title in the interdisciplinary series ‘Law and the Senses’ asks how we can develop new theoretical approaches to law and seeing that go beyond a simple critique of the legal pretension to truth. This volume aims to understand how law might see and unsee, and how in its turn is seen and unseen. It explores devices and practices of visibility, the evolution of iconology and iconography, and the relation between the gaze of the law and the blindness of justice. The contributions, all radically interdisciplinary, are drawn from photography, legal theory, philosophy, and poetry. George A. Rutherglen, University of Virginia School of Law, has published Reconstruction in Legal Theory as Virginia Public Law and Legal Theory Research Paper No. 2019-20. Here is the abstract. Reconstruction and the Civil Rights Era did not make a significant appearance in legal theory until the eve of Brown v. Board of Education. The reconstruction accomplished by legal theory was internal to legal theory itself, as it was in philosophy as a whole. Methods of judicial review and processes of legal reasoning came in for criticism and revision, just as the aims and methods of philosophy did so. Legal theory took a turn towards legal positivism and legal realism, neither of which had much patience with the normative claims underlying civil rights. Nor did philosophy as it fell under the influence of logical positivism and its skepticism of normative claims generally. This essay describes this historical pattern, in which the neglect of civil rights in legal theory paralleled the neglect in constitutional law, only to be suddenly transformed by Brown v. Board of Education. Civil rights went from the status of a neglected stepchild in legal theory to the heir apparent of judicial review. Legal theories could no longer ignore principles of racial equality but instead had to take them as axiomatic. An announcement of a fascinating conference on Law and Opera, taking place on May 6th, at the University of Turin. The Department of Law is sponsoring the conference. Participants will include academics, singers, and directors. Du droit dans Game of Thrones (Quentin Le Pluard and Péran Plouhinec, eds., 2019). Here is the description of the book's contents from the publisher's website. For as long as we humans have recorded our existence, we have developed rules to govern our affairs. It is not surprising then that the rule of law predominates not only our own life, but also that of those worlds that only exist on paper or the screen. Generally, the more complex the society, the more complex the rules it has developed to govern it. The more you read of Game of Thrones, the more you realize you are reading about our society, our mores, our evolving rules and standards, and most especially about power and who wields it. The laws of this society of dragons, magic, and treachery at times feel shockingly different from our own, but many more similarities exist than we may prefer to acknowledge. Broad themes such as a border-length wall to keep out [the] Others, the abolishment of slavery, effective criminal procedures, and the very structure of the political system itself whether through a democracy, aristocracy, plutocracy or theocracy abound. This paper will look at significant legal topics such as political and legal structures, criminal law and procedure, and, briefly, immigration law, and will examine the applicable rules, laws and customs for each in the world of A Song of Ice and Fire. In addition, this paper will highlight stark differences and startling similarities to many of our current laws and customs demonstrating the underpinnings of what binds us together and makes us a society. Kim Kardashian West is apparently starting on a new career. According to this article in Vogue, she's apprenticing to become a lawyer. Note that her father, Robert Kardashian, was one of O.J. Simpson's attorneys. "Reading law" used to be a common method of qualifying for law practice. California offers the option of "reading law" rather than formal law school education as a route to qualification as an attorney. Other states which still allow individuals to qualify as lawyers include Vermont, Virginia, and Washington. For more about the transition from reading law to the now familiar method of law school training, check out William P. LaPiana, Logic & Experience: The Origin of Modern American Legal Education (Oxford University Press, 1994). More about reading law as a path to law practice here. L. Joe Dunman, Morehead State University, is publishing The Devil in Recent American Law in the Pace Law Review (forthcoming). Here is the abstract. Neal Goldfarb, Georgetown University Law Center, has published Corpus Linguistics in Legal Interpretation: When Is It (In)appropriate? Here is the abstract. Corpus linguistics can be a powerful tool in legal interpretation, but like all tools, it is suited for some uses but not for others. At a minimum, that means that there are likely to be cases in which corpus data doesn’t yield any useful insights. More seriously, in some cases where the data seems useful, that appearance might prove on closer examination to be misleading. So it is important for people to be able to distinguish issues as to which corpus results are genuinely useful from those in which they are not. A big part of the motivation behind introducing corpus linguistics into legal interpretation is to increase the sophistication and quality of interpretive analysis. That purpose will be disserved corpus data is cited in support of conclusions that the data doesn’t really support. This paper is an initial attempt to deal with problem of distinguishing uses of corpus linguistics that can yield useful data from those that cannot. In particular, the paper addresses a criticism that has been made of the use of corpus linguistics in legal interpretation — namely, that that the hypothesis underlying the legal-interpretive use of frequency data is flawed. That hypothesis, according to one of the critics, is that “where an ambiguous term retains two plausible meanings, the ordinary meaning of the term... is the more frequently used meaning[. ]” (Although that description is not fully accurate, it will suffice for present purposes.) The asserted flaw in this hypothesis is that differences in the frequencies of different senses of a word might be due to “reasons that have little to do with the ordinary meaning of that word.” Such differences, rather than reflecting the “sense of a word or phrase that is most likely implicated in a given linguistic context,” might instead reflect at least in part “the prevalence or newsworthiness of the underlying phenomenon that the term denotes.” That argument is referred to in this paper as the Purple-Car Argument, based on a skeptical comment about the use of corpus linguistics in legal interpretation: “If the word ‘car’ is ten times more likely to co-occur with the word ‘red’ than with the word ‘purple,’ it would be ludicrous to conclude from this data that a purple car is not a ‘car.’” This paper deals with the Purple-Car Argument in two ways. First, it attempts to clarify the argument’s by showing that there are ways of using corpus linguistics that do not involve frequency analysis and that are therefore not even arguably subject to the Purple-Car Argument. The paper offers several case studies illustrating such uses. Second, the acknowledges that when frequency analysis is in fact used, there will be cases that do implicate the flaw that the Purple-Car Argument identifies. The problem, therefore, is to figure out how to distinguish these Purple-Car cases from cases in which the Purple-Car Argument does not apply. The paper discusses some possible methodologies that might be helpful in making that determination. It then presents three case studies, focusing on cases that are well known to those familiar with the law-and-corpus-linguistics literature: Muscarello v. United States, State v. Rasabout, and People v. Harris. The paper concludes that the Purple-Car Argument does not apply to Muscarello, that it does apply to Rasabout, and that a variant of the argument applies to the dissenting opinion in Harris. Northeastern University School of Law parodies "The Office" with this video. What you can do with that law degree! Alan Calnan, Southwestern Law School, has published Law's Coevolution. Here is the abstract. The International Conference on Alternative Methods of Argumentation in Law (Argumentation Conference Brno) will take place October 18th, 2019. The conference organizers invite you to submit proposals for papers. More information is available here at the conference website. S. I. Strong, University of Missouri School of Law, is publishing Past As Prologue: Arbitration as an Early Common Law Court in volume 57 of the Houston Law Review (2020). Here is the abstract. Two well-known means of resolving legal disputes in the United States – consumer arbitration and employment arbitration – have long been characterized as illegitimate forms of “second class” or “rough” justice. Recent years have seen renewed debate about the nature and quality of arbitral decision-making in light of several U.S. Supreme Court opinions involving arbitration. Proponents of consumer and employment arbitration have defended the device through empirical, doctrinal and policy studies. However, thus far, no one has considered the fundamental fairness of these types of arbitration through a comparative historical analysis dating back to medieval England, when the common law first began. This Article seeks to determine whether and to what extent modern forms of consumer and employment arbitration can be analogized to early common law courts, meaning those that operated between 587 and 1485 C.E. The analysis adopts a methodological technique known as applied legal history as a means of comparing practices and procedures in contemporary arbitration with practices and procedures in early common law courts so as to consider questions of procedural fairness and legitimacy. In so doing, the Article challenges a number of preconceptions about the nature of civil justice and comes to some surprising conclusions about ongoing (mis)perceptions about consumer and employment arbitration. The University of Perugia invites streams and papers for the 2019 Critical Legal Conference. The event will take place between September 12 and 14, 2019. The deadline for submission of abstracts is July 15th. The theme of this year's conference is Alienation. More here from the conference website. On April 25 and April 26, 2019, the Africana Studies Department at the University of North Carolina at Charlotte (USA) will host its 17th Annual Symposium, “Religion, Racism and Religious Racism: The Color of Faith Discrimination.” The symposium will open on April 25 with a moderated discussion with Babalorixá Gustavo Melo Cerqueira titled “Religious Racism in Brazil: Evangelical Extremism Against African Diaspora Faiths.” On April 26, the event will continue with five hour-long panels, as well as a special midday presentation by Dr. Abbas Barzegar, Director of Research and Advocacy at the Council on American-Islamic Relations (CAIR). The opening event on April 25 will be held in the auditorium at UNC Charlotte’s Center City Campus. The remainder of the symposium will be held at UNC Charlotte’s Main Campus in Atkins Library Room 143 (space is limited). The opening event will be live streamed on Youtube. The other presentations will be accessible by video conference for registered attendees. The entire symposium is free and open to the public. For more information, visit our website. Click here to register. David Birkin and I have been working since January with LCC post grad students, ngos Reprieve, PlanB and Refugee Journalism, artists Poulomi Basu and David Blandy & Larry Achiampong … to create Visible Justice, the exhibition. The students have responded to briefs and created self initiated work on such themes as the death penalty, torture and rendition, climate change, knife crime, surveillance and the experience of migration. Their work forms the public programme for LCC’s School of Media 2019. The show also features work by aforementioned artists plus LCC’s Syrian Artist Protection Fund Fellow in Residence Abd Doumany, Corinne Silva, Edmund Clark and Nathaniel White, who have each supported the collaborations, and whose work resonates with the themes. It would be wonderful to see you at our associated events. See links for info on brilliant speakers. It’s all free, but booking is essential via the links above. We are working on the build this week and it’s all looking very exciting indeed. Cultural expertise connects with the great debates of anthropology regarding the concept of culture, race, ethnicity, gender and allows for a new scrutiny of the potential of social sciences, in particular anthropology, to problem solving. I am planing a collection of essays designed as a trajectory starting from theory to praxis and using socio-legal and critical studies for a reader on cultural expertise whose target audience is undergraduate students in the social sciences. This reader connects with the collaborative design of a course on cultural expertise within the framework of EURO-EXPERT. Contributors to this reader may be invited to participate to the upcoming workshop to be held on the first week of October in Oxford. 5000 words chapters are solicited on the following non-exhaustive list of topics: current representations of culture and law, race and ethnicity, gender, regulations concerning cultural expert witnessing and mediation from a national and comparative perspective, patterns of litigation involving a sample of multicultural-settings, and more (other topics can also be proposed). Both theory and praxis oriented contributions will be accepted. Theory-chapters should provide a state-of-the-art survey of one of the great debates in the social sciences and highlight how the notion of cultural expertise connects with those as umbrella concept including anthropological experts witnessing, mediation in court and out of court, cultural defence, and more. Praxis-chapters should focus on the application of cultural expertise to a particular field (such as gender rights, migration, indigenous rights, detention, education, health, and more) and offer quantitative and/or qualitative data that support the analysis. Both theory- and praxis- chapters should be accompanied by a list of further readings and can include boxed contents for exercises, multiple choice questions, definitions, and long extracts from leading scholarship. Prospective authors are requested to send a 800 words proposal and a 250 words BIO to Livia Holden at livia.holden@csls.ox.ac.uk by the 3rd June 2019. Preliminary enquiries are welcome. Readings on cultural expertise are available on request. Holden, L. ed. (2011) Cultural Expertise and Litigation, Aldershort: Routledge.Holden, L. Ed. (2019) Cultural Expertise and Socio-Legal Studies, Bingley: Emeraldinsight. John Mikhail, Georgetown University Law Center, is publishing James Wilson, Early American Land Companies, and the Original Meaning of 'Ex Post Facto Laws' in volume 17 of the Georgetown Journal of Law & Public Policy (2019). Here is the abstract. Many commentators have questioned whether the interpretation of the term “ex post facto laws” in Calder v. Bull, which restricted that term to retroactive criminal laws, is historically accurate. 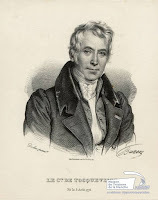 Most prominently, over seventy years ago Professor William Winslow Crosskey argued not only that this “criminal-only” reading of “ex post facto laws” departed from the original understanding, but also that Justices Chase, Iredell, and Paterson adopted that erroneous interpretation in order to assist James Wilson, who by 1798 had fled from his creditors and needed retroactive bankruptcy protection. Drawing on new evidence related to legal disputes involving three land companies with which Wilson was associated, which eventually gave rise to Hollingsworth v. Virginia, Fletcher v. Peck, and Johnson v. M’Intosh, this Article contends that Crosskey was likely correct about the original meaning of “ex post facto laws,” but likely mistaken about the Justices’ motivations in Calder. In fact, Wilson’s land speculation, conflicts of interest, and aggressive pursuit of his companies’ interests were probably a source of embarrassment to his fellow Justices. Nonetheless, there is a clear discrepancy between the construal of “ex post facto laws” in Calder and how that term was widely used in the founding era, which merits further investigation. A better historical understanding of these land disputes also raises new doubts about the reliability of the discussion of ex post facto laws in James Madison’s Notes of the Debates in the Federal Convention. The Article is my contribution to a symposium on James Wilson that was hosted by the Georgetown Center for the Constitution and was held at Georgetown Law in December, 2017. Jane Manners, New York Historical Society, has published Congress and the Problem of Legislative Discretion, 1790-1870 (Dissertation, Princeton University, 2018). Here is the abstract. Histories of the nineteenth-century United States often describe a stark divide between law and politics, with law as the agent of the propertied few and politics as the weapon of the masses. As representatives of America’s growing electorate fought to reapportion wealth, these accounts go, lawyers and judges waged a counteroffensive through the courts, using the rule of law to strike down statutes and stave off redistributive change. This dissertation challenges that narrative by examining the legislative logic of Congress during the first century of its existence: a logic, it argues, that increasingly relied on notions that we typically associate with private law, such as precedent, principle, and doctrines of vested rights. Members of Congress turned to these concepts not for the reasons that modern-day political scientists attribute to legislative actors, such as electoral considerations and political pressure (or at least, not only for such reasons), but rather out of a deeply-rooted anxiety about the exercise of their own power and an uncertainty as to what, in America’s decades-old experiment in representative democracy made legislation legitimate. Focusing on two case studies – one examining Congress’s response to the Great New York Fire of 1835 and the other investigating the legislative theory of the radical Republican senator Charles Sumner – this dissertation uses techniques and sources typically identified with the law side of the law/politics divide to make a novel claim: that Congress’s increasing reliance on the ideas and practices of ‘private’ law led its members gradually to limit their own discretion, constricting their ability to legislate for the public good in the process. Download the dissertation from SSRN at the link. John Felipe Acevedo, University of Alabama School of Law, has published Witch-Hunts and Crime Panics in America. Here is the abstract. The term witch-hunt has been tossed around by media commentators, policy experts, and even presidents for years — Nixon, Clinton, and Trump each in turn. Accusations of a witch-hunt are used to signal perceived bias, procedural unfairness, and paranoia. This Article argues that drawing simplistic connections between witchcraft trials and unfairness in the criminal justice system severely hampers our understanding of both historical and contemporary events. It obscures the fact that the term witch-hunt is popularly used to describe two very different types of prosecutions that reflect distinct social and legal problems and demand distinct solutions. On the one hand, witch-hunts target individuals based on their beliefs and are exemplified by the two Red Scares of the early and mid-twentieth century and the persecution of the Quakers in seventeenth century Massachusetts Bay. These are fundamentally distinct from crime panics, which target activity that was already classified as criminal but do so in a way that reveals deep procedural deficiencies in the criminal justice system. Crime panics are exemplified by the Salem witchcraft trials and the “Satanic Panic” of the 1980s and 1990s. In contrast, the ongoing special investigation by Robert Mueller is neither a witch-hunt nor a crime panic. By bringing ongoing criminal law issues into conversation with legal history scholarship on early American witch-hunts, this article clarifies our understanding of the relationship between politics and large-scale criminal investigations, and highlights areas for future reform. Dmitry Polknikov, National Research University Higher School of Economics, has published Two Divergent Approaches to Comparative Legal Studies in Europe and Their Implications for Legal History as Higher School of Economics Research Paper No. WP BRP 88/LAW/2019. Here is the abstract. Comparative legal studies have established themselves as the reaction of legal scholarship towards the legal diversity of our shrinking world today and in the past. Despite their potential, such studies occupy a marginal place in legal curricula and practice across Europe. This unhappy situation has brought about debates within the community of comparatists about possible causes and eventual remedies. In this paper, I look at this debate as the incarnation of the century-long confrontation among 'erudite' and 'pragmatic' legal scholars; the former group identify with the agenda of Rodolfo Sacco and the latter are led by Basil Markesinis. My aim is to draw implications from this debate for comparative legal history. In order to do so, I begin by introducing the main tenants of the two 'schools'. Secondly, I investigate the main stumbling blocks of the debate between them: Eurocentrism, the selective scope of research, interdisciplinary and cultural studies. Thirdly, I contemplate the implications of the debate for legal history and a possible synthesis of the two approaches suggested by Uwe Kischel. My main point here is to encourage legal historians in two respects: (1) to engage in cooperation with comparatists in order to enhance our understanding of the context(s) and the paradigm(s) of European legal culture in the face of the ongoing internationalisation of law and legal studies and, (2) to pursue the task of revealing the hidden factors that slow down the transformation of positive law when the changing world calls for it, as is the case with acknowledging new kinds of legal subjects. Reminder: the journal Noesis has issued a CFP for its Spring 2020 issue, The Philosophy of Customary Law. The deadline is June 1st, 2019. You may submit papers in English, French, or Italian. The editors are Luke Mason, Eduardo Frezet, and Marc Goetzmann. For more than 20 years, the peer-reviewed journal Noesis has been at the forefront of French contemporary philosophy. Affiliated to the Center for Research in the History of Ideas (CRHI) of the University of Nice Sophia Antipolis, Noesis publishes two special editions a year, collecting papers around a topic chosen by its scientific committee. The Philosophy of Customary Law will be the name of the Spring 2020 double issue. It follows the organization of a conference on the “Philosophy of Customary Law” in May 2018. Far from considering the phrase "customary law" as a self-evident truth, papers will aim at identifying and trying to solve the many tensions created by the juxtaposition of two separate but parallel forms of social regulation: law and custom. What matters then is to investigate the ambiguity behind the very idea of customary law. Does it point out one more sort of law, or does it designate an autonomous kind of law, with its own features and not reducible to the law? Answering these questions requires without any doubts an inquiry about the peculiar dynamics of customary law, grounded on both empiricist and theoretical perspectives. To know whether it is a form among others of law or it is specific enough to be called a genus of law, it is crucial to define its principles. If this law is called customary it is because custom is key to it as a source of law. Understanding the specific features of customary law means therefore striving to understand what role custom plays to shape the very nature of customary law. It will be necessary to investigate the way the main role assigned to customs determines the very existence of specific institutions and peculiar criteria of the bigger law frame that regulates the individual. Any legal system that includes custom as its element must establish spatial, temporal and logical frame of custom proofs. Nevertheless, Anglo-Saxon Common law and its peculiar principles mustn't overshadow any attempt to grasp the principles and the peculiarities of customary law; and we will be particularly sensitive to the way the customary law settles in pluralist contexts, where different customary laws can be concurrent. In these conditions the interaction between law and custom takes the shape of a normative conflict more than of a coherent customary law. Exploring the limits and the fictions of customary procedures adopted by the Common Law could be the first step of both a new deployment of the customary law potential and an inquiry about its foundations. Indeed, it would be of extreme interest to study the different forms of customary law in eras where the Common Law model is spreading at different levels and domains, especially in international law, and where customary law is adopted in de-colonized regions where the law system is marked by a strong plurality of contexts. Peculiar stakes of these contexts force to investigate both the limits and the flexibility of customary law. Do evolutions of scales and domains concern the essence of customary law, if this nature exists? Or are they only variations of a single nature beyond the peculiarities of each embodiment? It will also be necessary - among other issues - to address the specific effectiveness of customarylaw, and to determine if it lays on the same constraint as the law; and if it is supported by peculiar institutions and applications. The question of the role of the sanction is in this respect essential. In the wake of these reflections it is necessary to note that custom is reduced to the status of simple source of the law in every lawcalled customary, and is therefore deprived of every autonomous form of normative power. It is not custom that is not acknowledged as custom according to the processes required and in the name of the institutions and criteria defined by law. In this case, custom is not anything more than one of the many possible sources of law, and concurring with them; it has not a primary juridical existence. This is the reason why John Austin could so easily disqualify custom self-sufficiency, arguing - with Hobbes and against the historical school - that the very nature of law prevents custom to be effective on its own besides the implicit or explicit, direct or indirect acknowledgement by the sovereign. One of the main ambitions of this collective publication would be indeed to question Austin's position. This could in turn allow to address the issue of the substantial or accessory priority of the phrase "customary law". Beyond this lies the very issue of the autonomy of custom as a social regulation tool. In order to do that, one could be tempted to consider what disappears of custom and what does not, in customary law, so as to really understand its very nature. This brings us to discuss the specific subject of the codification of custom, the cornerstone of customary law. This codification is never de facto a neutral act, and it will be more relevant to point out from every point of view all the implicit tensions of the codification, which standardize and stabilize power balances or social and economic struggles. One of the axes of the study, already well known in social science but overlooked by philosophy, would be that of interaction between formal lawand custom in de-colonized countries. Legal codification is one of these moments when powers and knowledge meet with most intensity. The “historical school” of lawmaintained the necessity of combining law studies with humanities, and we can now include social sciences such as economy, anthropology and sociology. We will therefore investigate which place these disciplines can or should have within the codification and definition of custom; we will also inquiry about their legitimacy, methods and approaches. The question arises of which place one should give to specific case studies in this volume. It is clear that they must be crucial while studying customary law as a theoretical object; but no discourse should be limited to a series of descriptions of different customarylaws. Does "customary law" locution show a specific mode of social regulation between the juridical and the customary? Is custom a source of law? Or could be considered as an object beyond or before it? Does a specific form of customary law exist despite its different expressions? Does a model of customary law exist - such as the international law? Which transformations does custom endure when integrated with the "customary law"? Which philosophical implications does codification of custom produce within customary law? Which are the stakes of the very existence of customary law in pluralist and decolonized contexts? What are the relationships between customary law on one side and moral or juridical standards such as human rights on the other? What is the place of customary law within social change dynamics? Which interactions and which concerns exist about humanities, social sciences and law with respect to custom? Which are the links of customary law with localities, territories, their history and their social displaying? How different disciplines of social and human sciences allow to reflect upon these phenomena and their conflict with law's peculiar formality? The committee and the editors will make their selection from a set of complete papers only. Proposals will not be reviewed. Papers may be as long as 35.000 signs / 7.500 words. This does not include: the main title, abstracts, footnotes, the author’s presentation etc. Only the main text counts in the total of words. Papers may be written in French, English and Italian only. They should be sent to the following email addresses altogether, by June 1st, 2019. To ensure an unbiased selection, the document must be anonymous. It must be modifiable, therefore .doc files are preferable. Please include in your email a separate document that states your name, affiliation, topics of interests. We should provide an answer by August 1st, 2019. Then, selected papers might need some modifications. The final versions of the papers will be due by September 15, 2019. Once the paper is published, the author also accepts the future publication of his/her paper online. -Notes must be footnotes and not end notes, numbered from 1 to the end. -References must be included in footnotes. Lists of references at the end of the article are possible but not encouraged. -The main text must not include bibliographical elements (like dates): the full reference must appear in the footnote and only there. Only the number of the footnote appears in the main text. Author’s first name and last name (in full), Title, City, Publisher, year, p. x.
Author’s first and last name (in full), « Title », Name of publication, n° X, Year, p. x.
Author’s first and last name, « Title », in first letter of the editors’ first name and editor’s last name, (ed. ), Title, City, Publisher, Year, p. x. -If there are 2 authors, use “and” between the two names; for 3 authors, separate the first two with a comma and use “and” before the last name; for more than 3 authors, use et al. For a book: Author’s first and last name, Title (shortened if necessary), op. cit., p. x. For a paper: Author’s first and last name, « Title », art. cit., p. x. If the reference is repeated right after a previous mention: use Ibid., p. x, if the page is different; for the exact same page, Ibid. only. Meghan O'Gieblyn discusses how we are currently debating the potential governing of Mars, now that colonizing that planet is a real possibility, and how writers and philosophers used to think about the subject, when it was just a dream. At the Paris Review, link here. Brian Z. Tamanaha, Washington University, St. Louis, School of Law, is publishing Sociological Jurisprudence Past and Present in Law and Social Inquiry. Here is the abstract. Through the mid-twentieth century, jurisprudents considered sociological jurisprudence to be one of the most influential theories of law in the United States. By end of the century, however, it had virtually disappeared. The publication of Roger Cotterrell’s Sociological Jurisprudence (2018) provides an occasion to examine what this theory of law was about, why it disappeared, and its prospects for revival. The topics covered are the circumstances surrounding the origin of sociological jurisprudence, the tenets of sociological jurisprudence, the successes of sociological jurisprudence, its relationship with sociology of law, its relationship with legal realism, its place in contemporary jurisprudence, and finally, the need to keep jurisprudence open. PEN America is accepting applications for its Writing For Justice Fellowships. These fellowships support emerging or established writers in creating written works of lasting merit that illuminate critical issues related to mass incarceration and catalyze public debate. The Fellowship aims to harness the power of writers and writing in bearing witness to the societal consequences of mass incarceration by capturing and sharing the stories of incarcerated individuals, their families, communities, and the wider impact of the criminal justice system. Our goal is to ignite a broad, sustained conversation about the dangers of over-incarceration and the imperative to mobilize behind rational and humane policies. As an organization of writers dedicated to promoting free expression and informed discourse, PEN America is honored to have been entrusted by the Art for Justice Fund to engage the literary community in addressing this pressing societal issue. Applications for the 2019 Writing For Justice Fellowship will open April 1, 2019 and close May 15, 2019. Read the application requirements here. Stephen R. Alton, Texas A & M School of Law, has published Dr. Jekyll & Mr. Holmes: A Tale of Two Testaments as a Texas A& M University School of Law Legal Studies Research Paper. Here is the abstract. This article takes the form of an epistolary exchange across the centuries, comparing and contrasting two noted wills in Victorian literature. The first of these testaments is the final will of Dr. Henry Jekyll, in Robert Louis Stevenson’s The Strange Case of Dr. Jekyll & Mr. Hyde; this will bequeaths the doctor’s estate to his friend and attorney, Gabriel John Utterson. The second testament is the putative will of Jonas Oldacre, in Arthur Conan Doyle’s The Adventure of the Norwood Builder; this will bequeaths Oldacre’s estate to the young solicitor who drafted the will, John Hector McFarlane. Taken together, these two testaments raise the issues of the testator’s capacity and intent to make the will, undue influence and bequests to attorneys (notably to the drafting attorney), due execution of the will, and the effect of the beneficiary’s possible murder of the testator. A comparison of these two fictional Victorian-era wills remains relevant today because the legal issues that these two testaments raised in 19th century England are still very much present in 21st century America. Some news on storytelling and legal education via AALS and Cision. BYU Law held its first storytelling initiative on March 18. Ten invited participants, selected from 40 submitters, presented nonfiction narratives explaining the links between their lives and the law at BYU LawStories. More here. Jasmine Abdel-Khalik, University of Missouri, Kansas City, is published Scènes à Faire As Identity Trait Stereotyping in volume 2 of the Business, Entrepreneurship & Tax Law Review (2018). Here is the abstract. Nichols v. Universal Pictures is one of the seminal copyright cases, but there is an unexplored component the decision - the court's discussion of the "low comedy Jew and Irishman." The decision creates at least one place where the law not only recognizes but may expect and encourage stereotyping based on race, ethnicity, gender, sexual orientation, gender expression, nationality, and the like (“identity traits”) - stock characters. 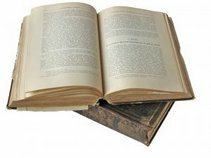 A stock character is the archetype of a story’s character and, as such, is excluded from copyright protection, making the stock freely available for other authors to use. However, harm arises when courts agree that a stock character is comprised of an identity trait and any other characteristic, indicating that what flows naturally from that identity trait is something more than just that identity - a stereotype. Courts cannot solve the societal harm of stereotyping, but it can take steps to minimize identity trait stereotyping while continuing to permit the use of stock characters. First, courts should recognize three categories of characters in creative works: stock, indefinite, and distinctly delineated. While only distinctly delineated characters would have copyright protection, the intermediate category allows courts to find that a character has multiple characteristics without implying that the characteristics are standard for specific identity traits. Second, courts must separate the determination of a character’s scope and copyrightability from the substantial similarity analysis to avoid conflating similarity with stock. Third, when possible, courts should also take the opportunity to correct the errors of the past. While no copyright doctrine alone is to blame for society’s stereotyping and stereotypes, scènes à faire grants judicial approval for continuing stereotyping. Without more care, the consequences could not only further entrench negative stereotypes in the creative mind, but also in the minds of those who consume their creative product.